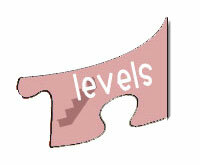 Today we are revealing the 5th piece of our Seven Day Challenge puzzle: LEVELS OF PARTICIPATION! Throughout the 7 days of the Challenge you will get an email each day that describes what has happened that day and what kinds of foods/utilities you have access to (hint: you might not always have access to your fridge food). Being that we are all at different levels of preparation and progress, we know that for some people certain aspects will be either too hard or too easy. So don’t fret! In each email, we will be giving you beginner type scenarios, and advanced type scenarios. You will be able to choose which level of participation you feel ready for (wouldn’t that be nice in a real emergency?). We want this challenge to be fun and to be a learning experience/starting point. If we make it too intense, we’ll be in trouble! After all, we’re participating in the challenge ourselves and we still feel like beginners too! If you haven’t signed up yet, make sure to fill out the form on our main 7 Day Challenge page.